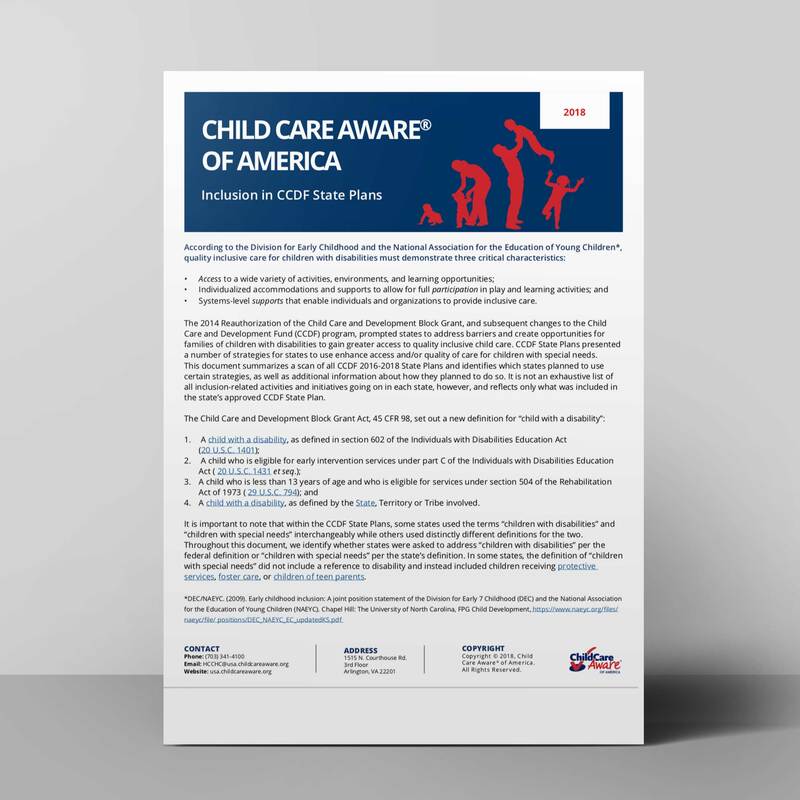 Child Care Aware® of America (CCAoA) has a strong history in advocating for policies that protect the health of children. Background checks, health and safety training, and monitoring visits from the Child Care Development Fund (CCDF) state agency are a few of the many recommendations that CCAoA has supported as foundational for protecting children in child care. With generous support from the Robert Wood Johnson Foundation (RWJF), we launched the Healthy Child Care, Healthy Communities technical assistance project to expand and explore a broader definition of health in child care. Over the past year, we partnered with stakeholder teams in six states to conduct research and communications projects covering diverse health topics. Child Care Resource & Referral (CCR&Rs) agencies played a pivotal role on nearly every state by connecting us to data, convening partners, and lifting up provider and community voices to inform our understanding of healthy child care. Below are examples of technical assistance we have provided as a part of this project. Keeping kids safe from injury is one of the fundamental ways in which child care providers promote child health, but they need access to comprehensive injury prevention training in order to do it well. We know that healthy eating and physical activity impact children’s health, as well as behavior, brain development, and school readiness. In Kentucky, we partnered with the Kentucky Department for Public Health and Child Care Aware® of Kentucky to values-based messages, communications materials, and a story map to elevate child care as a critical space for influencing children’s lifelong health and wellbeing. We also teamed up with YMCA Childcare Resource Service (YMCA CRS), San Diego County’s CCR&R, to evaluate its innovative Wellness Champion program. This program, which promotes healthy eating and active living best practices in center- and home-based child care programs, has been up and running since 2014 but has never undergone a rigorous evaluation. Using child care provider and parent surveys, we found that the Wellness Champion program seems to be contributing to healthier practices in child care and at home. 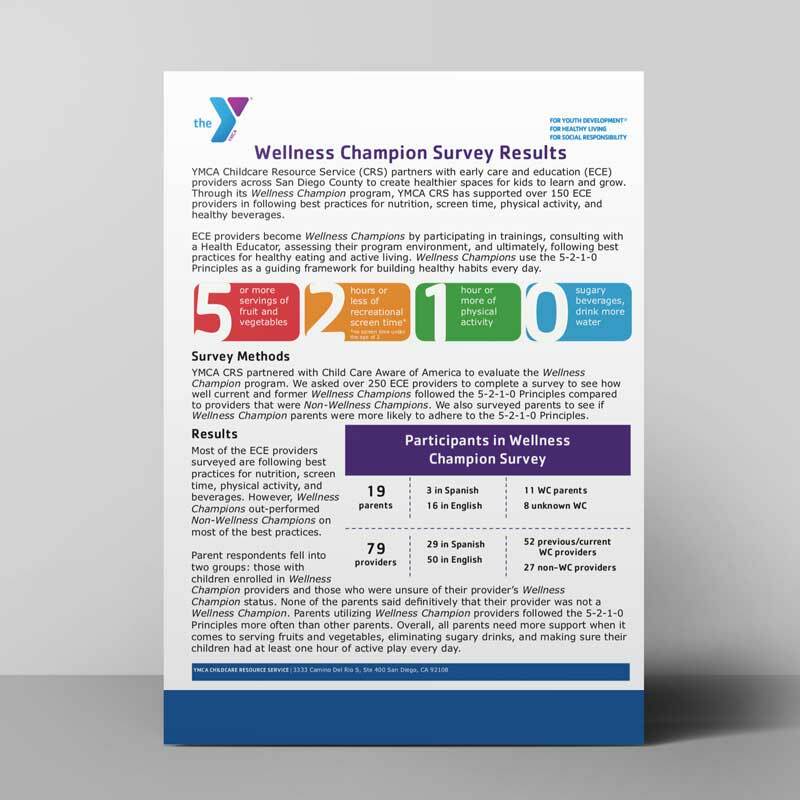 YMCA CRS can use these results to strengthen the Wellness Champion program and make the case for additional funding. 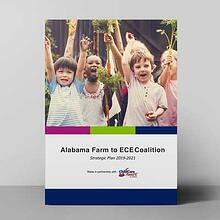 And, in Alabama, we worked with the nascent Alabama Farm to ECE Coalition to build and formalize their collaborative work. This diverse coalition, including CCR&Rs, food access partners, and state agency staff, aims to increase connections between ECE providers and fresh Alabama produce. We surveyed and held focus groups to better understand the barriers, facilitators, and resources that ECE providers, farmers, and food hubs face around Farm to ECE, and we used those findings to help us craft a three-year strategic plan for the coalition. The lifelong benefits of a high-quality child care experience are well-documented, and we know that those benefits are particularly pronounced for children from families with low socioeconomic status. Expelling a child from care or excluding a child with disabilities from fully participating denies that child access to the early care and learning experiences they need to thrive. The Illinois Network of Child Care Resource and Referral Agencies (INCCRRA) convened a diverse group of partners to map supply and demand of high-quality inclusive child care for children with disabilities. The map was coupled with a scan of CCDF state plans to present policy solutions and identify other states as models. With our help, the Illinois team identified opportunities to leverage the CCR&R system and other resources to ensure providers have access to the funding, training and technical assistance they need to effectively provide inclusive care for all children, regardless of ability. New York’s Early Care and Learning Council wanted to know more about expulsion and suspension from ECE programs in New York. We helped them conduct and analyze a statewide survey of child care providers, and found that boys, African-American children, and preschoolers are disproportionately affected by expulsion and suspension from early childhood programs. 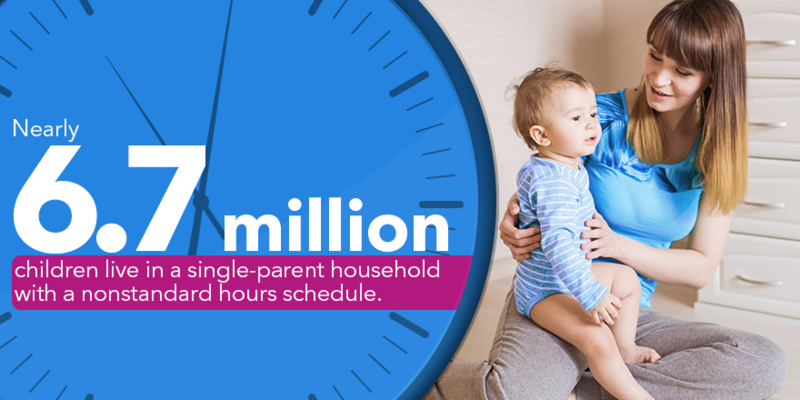 This information can drive important conversations about how to target resources, support providers, and build early childhood systems that make sure the kids and families most in need of quality care are not excluded from it. Sign up to attend our Healthy Child Care, Healthy Communities webinar on March 5, 2-3 p.m. ET to hear from our state partners and learn more about what partnering with CCAoA’s health policy team could look like in your state. Jessica Rose-Malm joined Child Care Aware® of America in October 2017. As Senior Health Policy Manager, she uses research, policy, and practice strategies to advocate for all children to have the tools they need to grow up healthy. 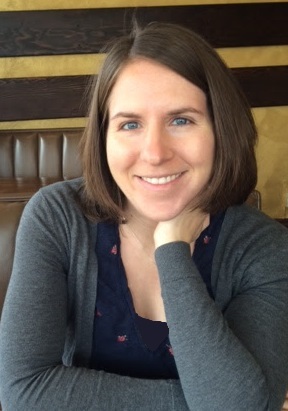 Jessica brings a background in health, public health, and non-profit management to her role, along with a BS in Biopsychology from Tufts University and a MA in Social Service Administration from the University of Chicago.